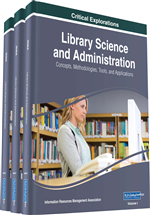 This chapter reviews the historical development of information exchange and sharing between two countries in the field of library and information science. It first identifies key examples of programs and activities created by and for Chinese and American librarians drawn from literature reviews, grey literature, the Internet, and individual experiences and practices. In doing this, the chapter presents an overview of these examples to pinpoint trends of Chinese-American library relations at institutional, governmental, association, and individual levels, including a case study analysis of the Chinese Librarians Scholarly Exchange Program at the University of Illinois at Urbana-Champaign. Finally, it outlines the trends that have been shaped by librarians who are pioneers, innovators, and leaders in the profession in both countries, and makes recommendations for future developments and further study. The occasion was momentous; at the second China-U.S. Library Conference in 2001, Xiaopu Zhou of the China Ministry of Culture noted the importance of the 1973 Chinese library delegation to the United States in her keynote speech. Zhou further reported that there have been numerous instances of contact between the Chinese and American library communities since 1973, and she predicted accurately that there is an “immense potential for the cooperation in the cultural and educational aspect” between China and the United States (Zhou, 2001). The China Society of Library Science, as well as various individuals and institutions, have actively engaged in cooperative activities since the initial delegation in 1973. However, it will take decades of consistent effort and funding for the information exchange between the two countries to reach its full potential. Drawing from literature reviews, grey literature, the Internet, and individual experiences and practices, key examples of programs and activities by Chinese and American librarians are identified and analyzed in the following sections to outline the trends of Chinese-American library relations at different governmental, institutional, and individual levels. Several categories of collaborative bases were also identified, including law topics, East Asian study and rare books, LIS education, and digital library development. These trends have been shaped by librarians who are pioneers, innovators, and leaders in the profession in both countries. The United States library community has a rich history of international collaboration with all corners of the globe. The most common international relationships are based on resource sharing, through both interlibrary loan and digital library development. One example of this is the Global ILL Framework (GIF), which facilitates interlibrary lending of both digital and print items between participating research library in the United States and Japan through a service similar to OCLC (Atkins, 2010). Other collaborations are exclusively digital, such as the Freimann Collection, a digital collection that seeks to virtually reconstruct a cultural Jewish heritage collection that suffered major losses during World War II. The project has three major contributors: the Leo Baeck Institute and the Center for Jewish History in New York, and the Judaica Division Frankfurt am Main in Germany (Heuberger, Leone, & Evers, 2015). International digital library collaborations also often have the benefit crowdsourcing volunteer translators or the development of multiple web portals for patrons who speak different languages, as in the International Children’s Digital Library (Budzise-Weaver, Chen, & Mitchell, 2012).